Viva La Hova: a work of God-like genius? Following the revelation that Jay-Z is to guest on an official new Coldplay song, we can now bring you news of an album-length collaboration between the two acts. Viva La Hova is by no means a 'proper' release, but it seems to have the blessing of Chris Martin and co. 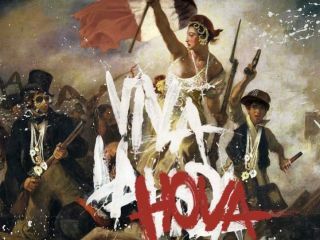 Created by a range of different producers, Viva La Hova is completely based on vocal samples from Jay-Z songs and beats from various Coldplay tracks. Unlike Danger Mouse's notorious Grey Album, its source material doesn't come exclusively from two specific records, but it's an impressive mash-up feat nonetheless. Coldplay certainly seem to approve, as a message on their website says: "It may not quite be the cup of tea of the EMI and Roc-A-Fella music lawyers, but we're rather enjoying the new Viva La Hova bootleg album which has popped up on the internet this week". It was EMI, of course, that attempted to prevent the release of The Grey Album (this contained countless unauthorised samples from The Beatles' White Album) but whether it'll take a similarly hardline stance in this case remains to be seen. You can download the album via the links on the Viva La Hova website.